The new Czech government under Prime Minister Bohuslav Sobotka has passed the vote of confidence in parliament yesterday. 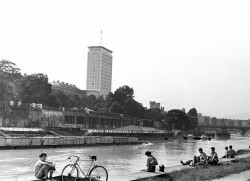 After the emergency sitting in the National Assembley, which was demanded by the opposition parties and took place yesterday, the Austrian government refused to answer questions to the press and the public. 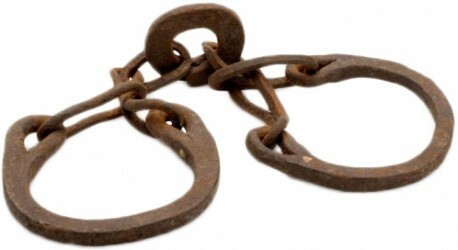 Joint Council of Europe – OSCE high-level conference on combating human trafficking, 17-18 February at Hofburg, Vienna. In the run-up to the beginning of the ECOFIN Council in Brussels, negotiations about the further proceeding of the financial transaction tax were held among eleven EU finance ministers. 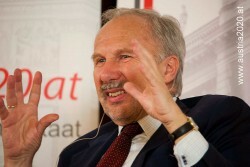 Ewald Nowotny, member of the Council of the ECB (European Central Bank) and governor of the Austrian National Bank (OeNB), expressed his rejection regarding a possible negative interest rate for banks. 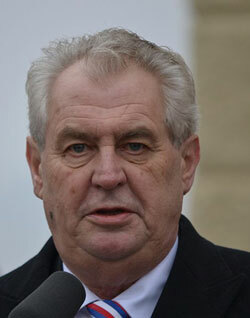 The new Czech government was appointed at the End of January. 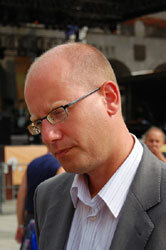 On Tuesday Prime Minister Bohuslav Sobotka and his cabinet will ask for a vote of confidence in parliament. Slovenia seems to have circumnavigated the crisis as the small country is not a Eurozone bail-out candidate anymore, according to Prime Minister Bratusek. 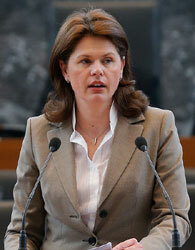 The Austrian parliamentary parties continue to shift the blame onto each other. Details still have not been presented yet. Tanja Miscevic, chief negotiator in the EU accession talks, announced on Sunday that elections in Serbia are not slowing down the process in European integration. Today, both Chancellor Werner Faymann and Finance Minister Michael Spindelegger had to explain their actions in regard to Hypo Group Alpe Adria in parliament. In the cause of the nationalized Balkan lender Hypo Group Alpe Adria, the performance of the Austrian government is miserable, according to Austrian economist Christian Keuschnigg. 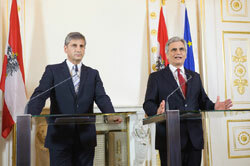 According to the Austrian Foreign Minister, the prospect of an EU membership could help accelerate the implementation of reforms. So far, € 4.8bn in capital aids had to be injected into ailing bank Hypo Group Alpe Adria. According to an EU statement, the Austrian state is only permitted to spend € 3.65bn on Hypo Group. 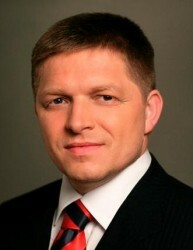 The vote of no confidence against Prime Minister Robert Fico failed in parliament. According to Deputy Prime Minister Vucic, the country’s biggest problem was the rate debt rate and fiscal deficit. 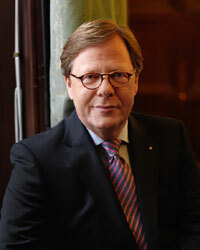 Hannes Androsch, head of the Hypo Group task force, thinks that the former Austrian government has made serious mistakes. According to Keuschnig, it is also a question about a “national bankruptcy“. € 1.75bn in state aid will be transferred around March 15 if the Financial Market Authority agrees to the repayment. The government has still not yet published figures in regard to the current fiscal burden emerging from the winding-up of problem bank Hypo Group Alpe Adria. Miroslav Singer, Governor of the Czech National Bank (CNB), considers the forex intervention and the weakening of the Czech Crown as the right measures in the light of the most recent inflation figures. Today, a press conference about suspected damaged persons by former Kazakh ambassador to Austria, Rahat Aliyev, who is alleged to have disappeared in Malta, will take place at the Media Quarter Marx in Vienna. 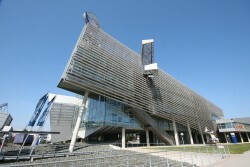 An extraordinary session in the National Assembley will take place next Monday in regard to Hypo Group Alpe Adria. Austria’s rating by Standard & Poor’s (“AA+”, stable outlook) is currently not compromised. 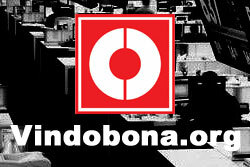 Because of the establishing of the bad bank the debt rate will rise four to six percent. The opposition parties have expressed their unanimous criticism about the government failing to come to a joint decision with the Austrian banks and consequently forwarding all costs to the taxpayers. The coming two years will be challenging for foreign banks operating in Ukraine. VIG continues to expand its market leadership in its largest CEE market. The most expensive solution for the winding up of troubled Hypo Group becomes imminent. 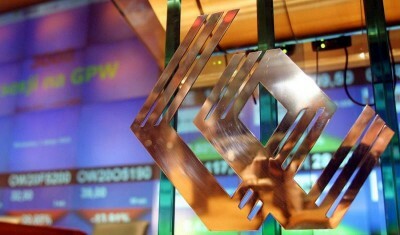 A participation model with Austrian banks can be ruled out for ailing Hypo Group. Instead, a more expensive version will be applied. 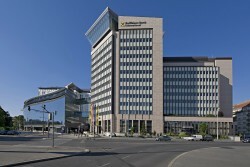 Raiffeisen Bank International (RBI) has received a total of twelve offers for its Ukranian affiliate. In the light of a devaluation of the Dinar Serbia needs a new agreement with the IMF to improve funding and accelerate the realization of reforms. On Friday the Finance Ministry confirmed to the Austrian Press Agency (APA) that there is “momentum in the field” in regard to disclosure of information about bank accounts of foreigners. Karl Sevelda, CEO of Vienna-listed RBI (Raiffeisen Bank International), does not want to become shareholder of the common bad bank for the nationalized lender Hypo Group Alpe Adria. 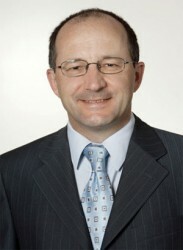 Austrian Minister of Finance Michael Spindelegger is everything but firmly in his saddle. 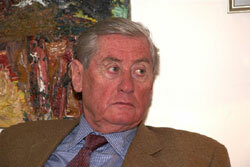 Behind the scenes, the fight for Spindelegger´s succession has started with full strength. 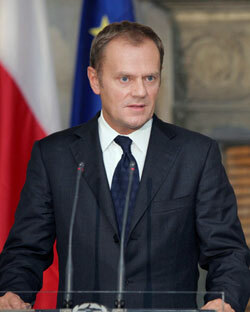 The new Czech Prime Minister Bohuslav Sobotka announced that the country will become a member of the EU Fiscal Pact. 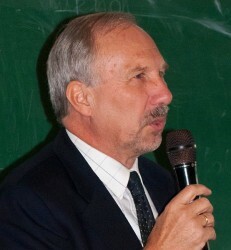 Czech Minister of Foreign Affairs Lubomir Zaoralek (CSSD – Czech Social Democrats) wants to adopt the euro as soon as possible. Minister of Finance Andrej Babis rejects that idea. 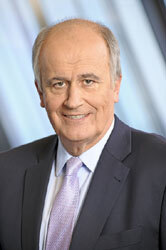 Klaus Liebscher, president of Hypo Group´s supervisory board, points out that Hypo Group´s bankruptcy would involve enormous risks. 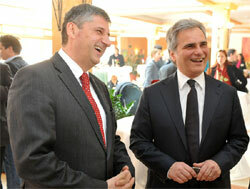 The Austrian government remains conspicuously calm. As reported by Vindobona, Romania´s Minister of Finance has decided to leave the government. According to rumors, the resignation was forced by senior PNL members. 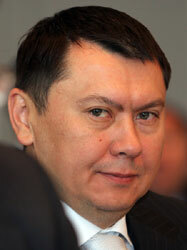 Minister of Finance Daniel Chitoiu is said to leave the Romanian cabinet. 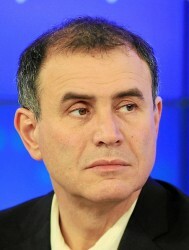 A number of emerging countries are facing enormous problems, according to economist Nouriel Roubini. Also countries in Central, Eastern and Southeastern Europe are affected. 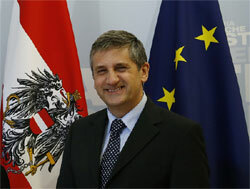 Christoph Leitl, President of the Austrian Chamber of Economics, criticizes the Austrian government sharply. Minister of Finance Michael Spindelegger is put on the defensive. 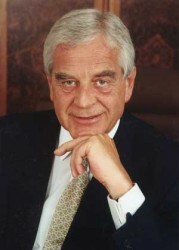 Czech President Milos Zeman will appoint former Czech prime minister Jiri Rusnok as new board member of the Czech National Bank. Czech new Minister of Finance Andrej Babis thinks that the euro will not be introduced in the next few years.